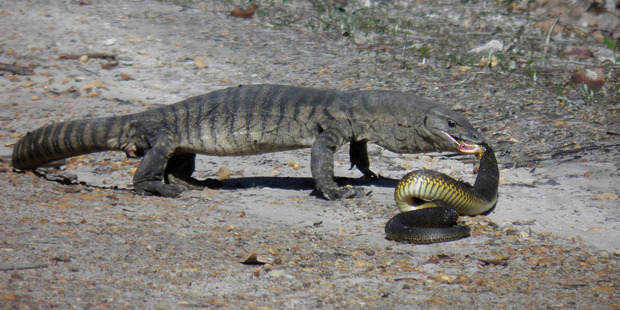 Taken by Australian Department of Parks and Wildlife officer Janine Liddelow, this picture shows a Heath Monitor eating a tiger snake. Impressive effort that. The photo was taken in late 2015 near Walpole.